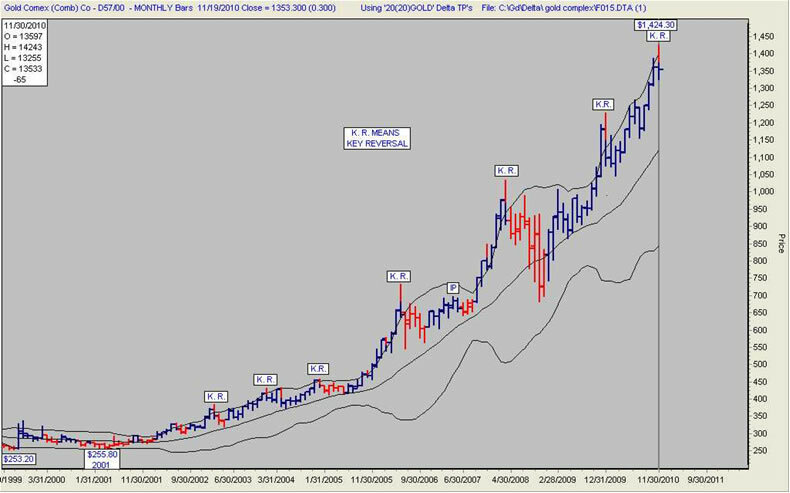 There are a number of well known technicians and fundamentalists who believe and continually write about and talk about a long term bear market in the stock indexes that has much further to go. 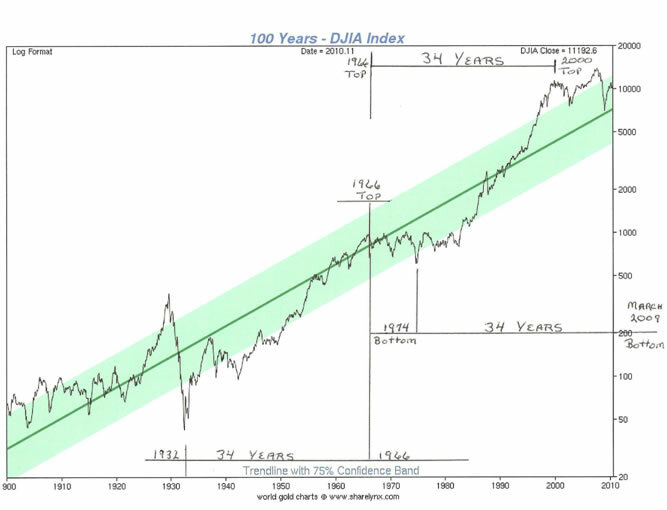 There are long term charts that may be telling us that a bear market in the S & P 500 and the D. J. I. A. ended in March 2009. 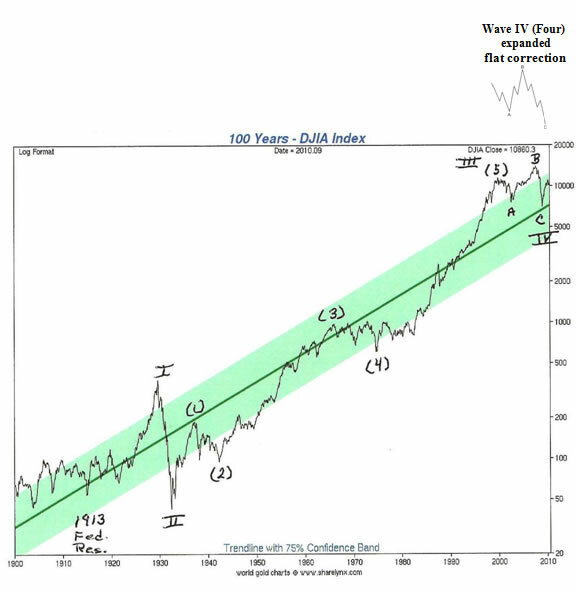 A third chart may be telling us that a fifth and final wave in the long term bull market in stocks that began in 1913 is underway. It appears to have begun at the bottom in March 2009. Thirty four years is the key number. The top in the last gold bull market occurred about 30 years and seven months ago. The gold bull market then lasted about eleven years and the gold bull market now has lasted about eleven years plus. 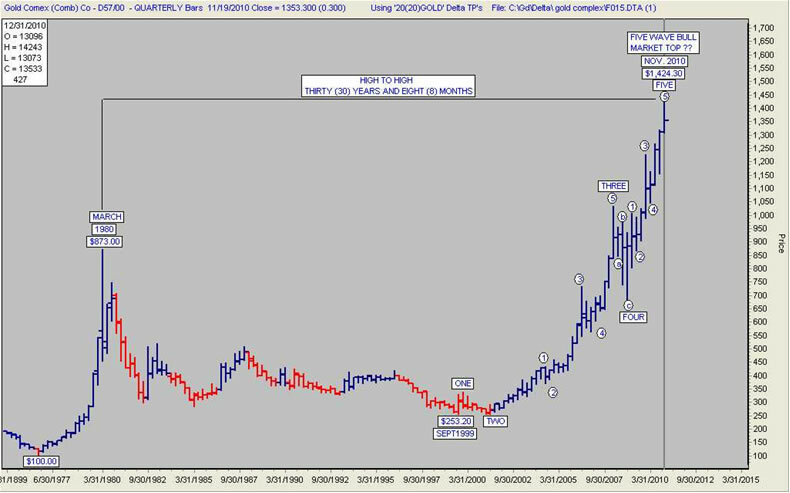 The gold bull markets began about 30 years apart, not to the day, not to the week and not to the month, but close enough to be considered a thirty year cycle. Will these cycles continue to repeat? 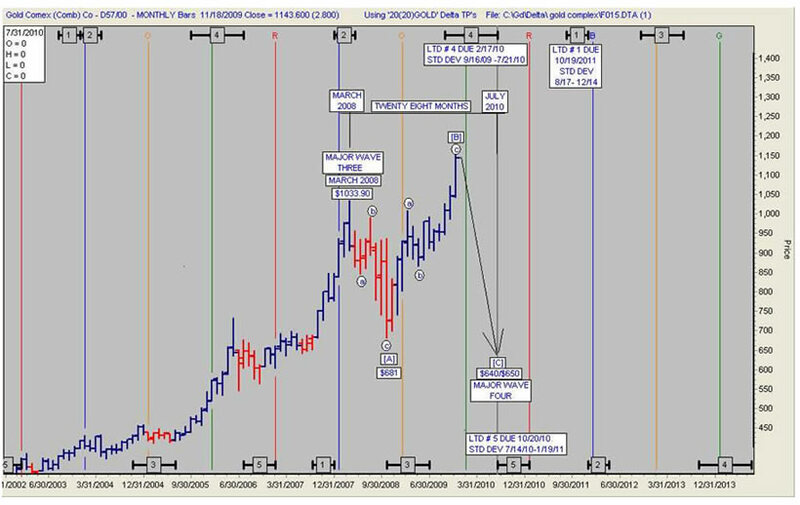 Up to this point in time, November 2010, the gold market appears to be functioning under the influence of an approximate 30 year cycle. The first bull market lasted about eleven and one half (11 ½) years. The second bull market has, so far, lasted about eleven and one quarter (11 ¼) years. The first gold bull market began in 1968. A little over thirty (30) years later in 1999 the second gold bull market began. The first gold bull market ended in January 1980. The second gold bull market may have ended in November 2010. 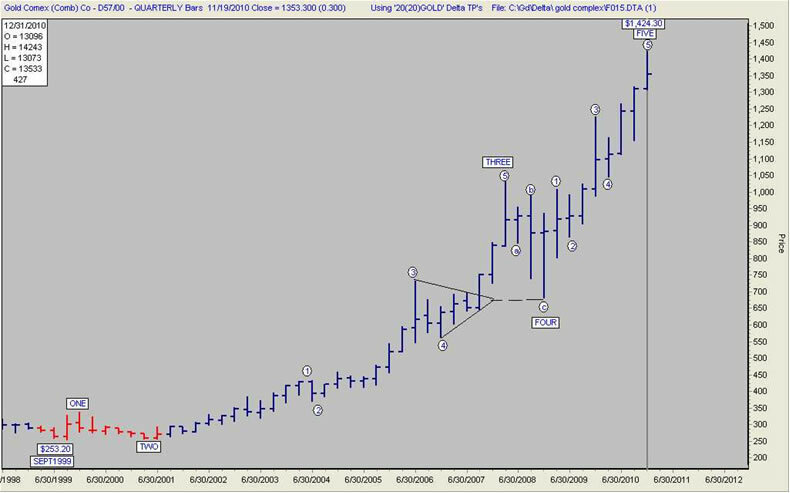 A blue and red vertical bar indicates that a monthly Key Reversal has taken place. November to remain a Key Reversal month. Disclaimer: The contents of this letter represent the opinions of Ronald L. Rosen and Alistair Gilbert Nothing contained herein is intended as investment advice or recommendations for specific investment decisions, and you should not rely on it as such. Ronald L. Rosen and Alistair Gilbert are not registered investment advisors. Information and analysis above are derived from sources and using methods believed to be reliable, but Ronald L. Rosen and Alistair Gilbert cannot accept responsibility for any trading losses you may incur as a result of your reliance on this analysis and will not be held liable for the consequence of reliance upon any opinion or statement contained herein or any omission. Individuals should consult with their broker and personal financial advisors before engaging in any trading activities. Do your own due diligence regarding personal investment decisions. Well, maybe Rosen is correct and gold is going to reverse. Of course reading his recent reports he has called for a top at 1,000, 1100, 1200, 1300 etc. Thank goodness I did not sell. p.s. I am not selling now either! 22 Nov 10, 19:00 Gold Top Again? 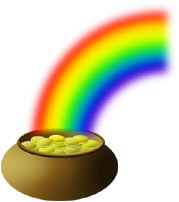 According to your forecast Gold should be at $650 by now. I now see from your posts that you call a gold top virtually every month. Even a broken clock will tell the time correct twice a day. And in this case, having missed the trend entirely, he is trying to WILL the market into a major bear phase.